(May 12, 2009 – Hamilton, Canada) Corus Radio Hamilton is proud to announce that they have renewed their broadcast agreement with the Hamilton Tiger-Cats continuing as the exclusive broadcaster for the 2009 Ticat season. As the voice for CFL football in the Greater Hamilton Area for over 40 years, AM900 CHML, together with brother station Y108, will continue to offer outstanding coverage of all Ticats games, including pre-season games beginning in mid-June. Returning to the Ticats radio broadcasts as play-by-play announcer is CHML’s Rick Zamperin. Zamperin will be joined by colour analyst and former Ticats assistant coach John Salavantis, who brings 10-plus years of football broadcast experience and almost 30 years coaching experience to the commentators chair. In addition, CHML will be premiering a new weekly hour-long program, Hamilton Tiger-Cats Show presented by Stirling Print Solutions, on Monday, June 15 at 7 p.m. featuring game analysis, team insight and behind-the-scenes coverage of Hamilton’s celebrated football franchise. The first pre-season game airs Wednesday, June 17 at 8 p.m. against the Winnipeg Blue Bombers with the regular season kicking off on Canada’s birthday, Wednesday, July 1 at 7 p.m. against the Toronto Argonauts. 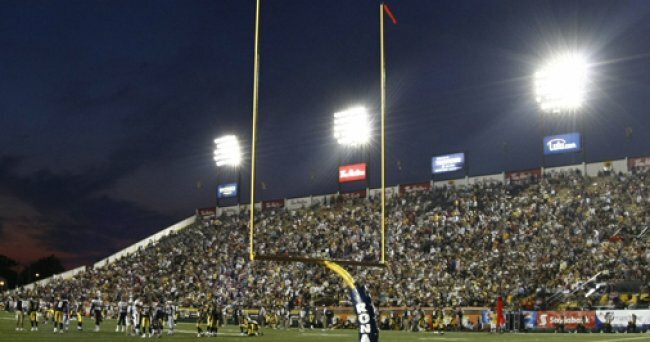 For a complete broadcast schedule please visit www.ticats.ca. Corus Radio Hamilton, AM900 CHML and Y108 are owned by Corus Entertainment Inc., a Canadian-based media and entertainment company. Corus is a market leader in specialty television and radio with additional assets in pay television, advertising services, television broadcasting, children’s book publishing and children’s animation. The company’s multimedia entertainment brands include YTV, Treehouse, W Network, CosmoTV, VIVA, Movie Central, HBO Canada, Nelvana, Kids Can Press and radio stations including CKNW, CKOI and Q107. Corus creates engaging branded entertainment experiences for its audiences across multiple platforms. A publicly traded company, Corus is listed on the Toronto (CJR.B) and New York (CJR) exchanges. Experience Corus on the web at www.corusent.com.